We decided to stop on the northern side of the Mont Cenis lake for a picnic dinner. 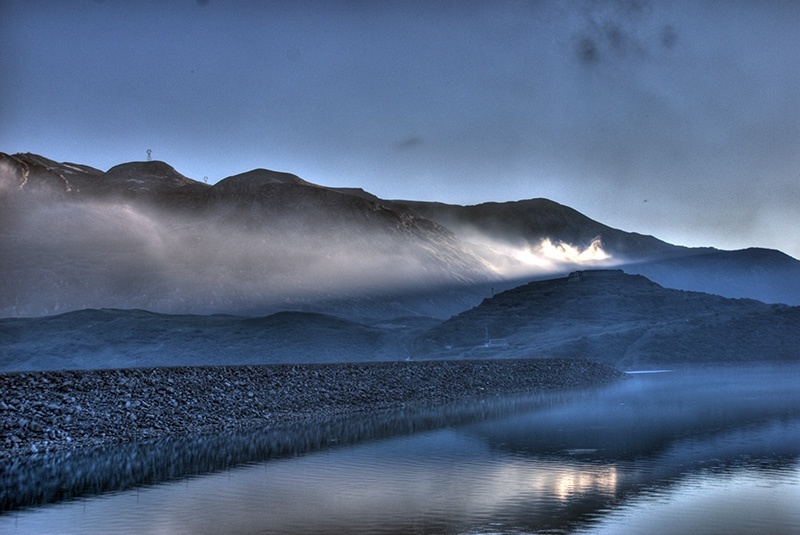 The Variselle fort on the side of the dam had a small cloud frozen in the sunlight. I mounted quickly the tripod to get this HDR shoot which shows well the magic of that moment. This entry was posted in Color, Landscape and tagged cloud, dam, dinner, evening, frozen, HDR, lake, light, magic, moncenisio, mont cenis, sun, sunset. Bookmark the permalink. That beam of light is something tremendously powerful. Tra le molte foto belle di questo sito scelgo questa perchè comunica un senso di splendida e silenziosa malinconia,la luce del sole sulle nubi poi è qualcosa di fantastico!